Two years ago, I presented two artists selling their work through Carré d’artistes, Alexandre Lamotte and Delphine Blais, of whom I had bought some paintings. In fact, at that time I had bought works from from two more artists, so—better late than never—today I shortly present one of them. 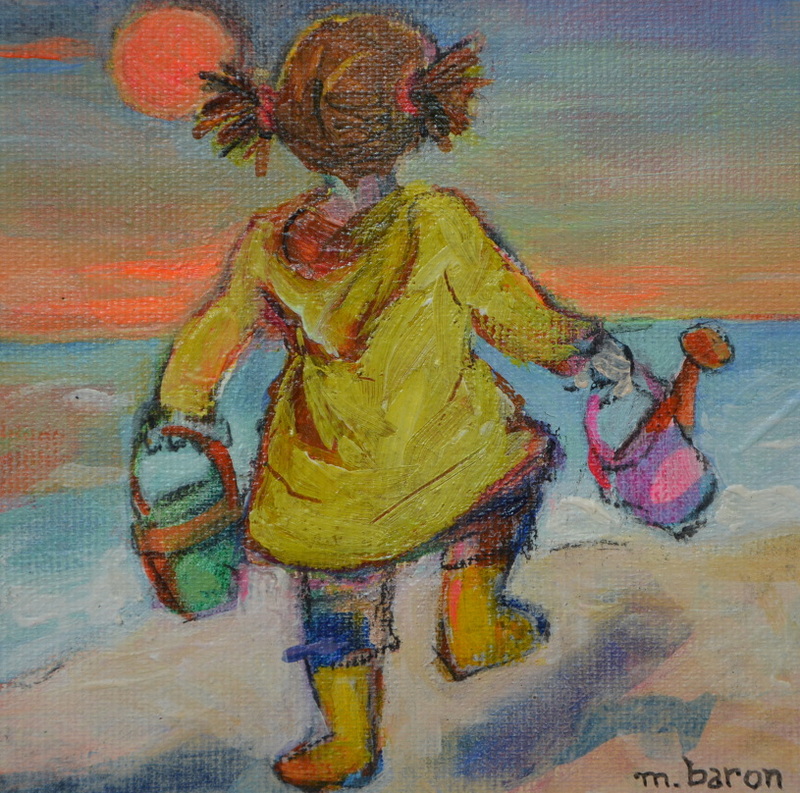 Born in 1952 in Tunisia, Michèle Baron moved to France at age 8. 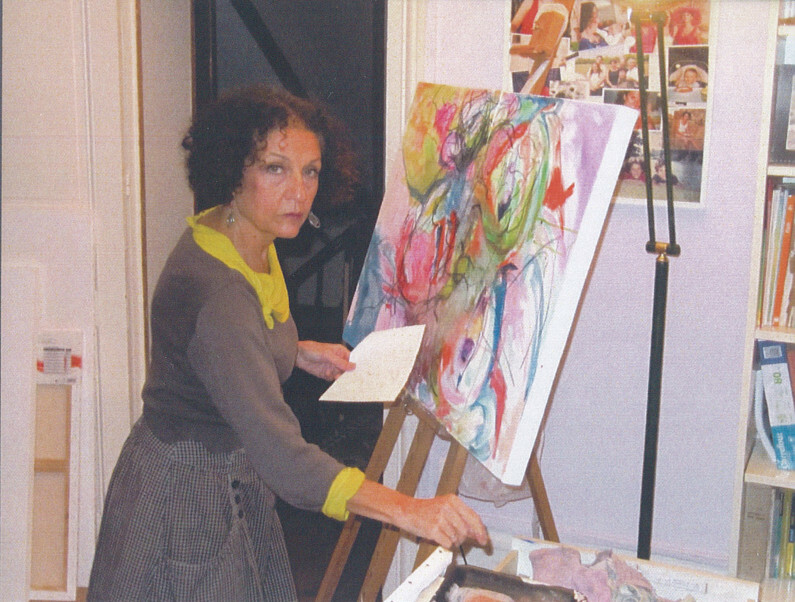 She attendend drawing, painting and sculpture classes at the School of Fine Arts in Lyon and then trained as a stylist at the Duperre School of Applied Arts in Paris; she also learned carpet making in Morocco for two years. She has worked as a graphic designer in textile design, silk painting and hand painting, then for 20 years in children’s publishing. Her colourful paintings often show women and girls, with their bodies in motion, full of life and energy. This entry was posted in Baron, Michèle, Painting by Christian. Bookmark the permalink.